Is the Echo Plus a good smart home hub? Is the Echo Plus a good speaker? The “plus” in the Amazon Echo Plus is an integrated ZigBee smart-home hub. It’s a feature that boosts this smart speaker’s price tag by a third compared to the $100 second-generation Echo, and by a factor of three compared to the $50 second-generation Echo Dot. Having one smart appliance do the job of two sounds like a good idea, but most people will be happier with a more powerful smart-home hub that works in conjunction with Alexa, even if the combination costs more. Don’t get me wrong. Amazon is way out in front when it comes to enabling voice control of the smart home, thanks to partnerships with all the major players—DIY platforms like Samsung SmartThings and the Wink Hub 2 as well as big installers such as Vivint Smart Home and ADT Pulse—and a deep commitment to helping any and every interested third-party manufacturer tap into its Amazon Voice Service (i.e., its Alexa digital assistant). I can recommend any Echo model—except this one. That’s because Amazon built only half of a smart home hub into the Echo Plus—it didn’t include support for the other very popular smart home protocol: Z-Wave. ZigBee is strong, and you’ll find it in lots of products, including the ever-popular Philips Hue smart bulbs. (And as I was writing this story, Amazon was tossing Echo Plus buyers a free Hue white LED bulb). But most stand-alone smart-home hubs—including the two DIY platforms I just mentioned—support both protocols to not limit their customers’ choices. Amazon’s effort to build its own smart-home hub seems half-hearted in other ways, too. Take that Philips bulb it comes with: You can ask Alexa to turn it on and off or dim it to a percentage, but you can’t tie it to a motion or door/window sensor that will turn it on when a person walks into a room or when a door opens. And while you can establish rules that will turn the bulb on according to a rigid schedule—on every day at 4:00 p.m., for example—you’ll need to create an entirely separate rule to turn it off again. That’s just tedious. There are also no provisions for staggering the on/off times slightly to make the behavior look more human to a burglar who might be casing your house. And since you can’t create schedules based on sunset and sunrise, you’ll need to adjust schedules for daylight savings time twice a year. The Echo Plus restores the elegant volume control ring from the original Echo. Getting started with the Echo Plus and a Philips Hue bulb is as easy as can be, although I had a strange experience when I first set up the Echo Plus itself. Every other Echo I’ve configured lit up as soon as I plugged in its power supply. When I plugged in this Echo Plus, I got nothing—no lights, no sounds, nothing. I unplugged it and moved it to another outlet, just in case there was something wrong with the first one, and I got the same result. I assumed the hardware was DOA and sent my PR contact a note to that effect, but I left the speaker plugged in. 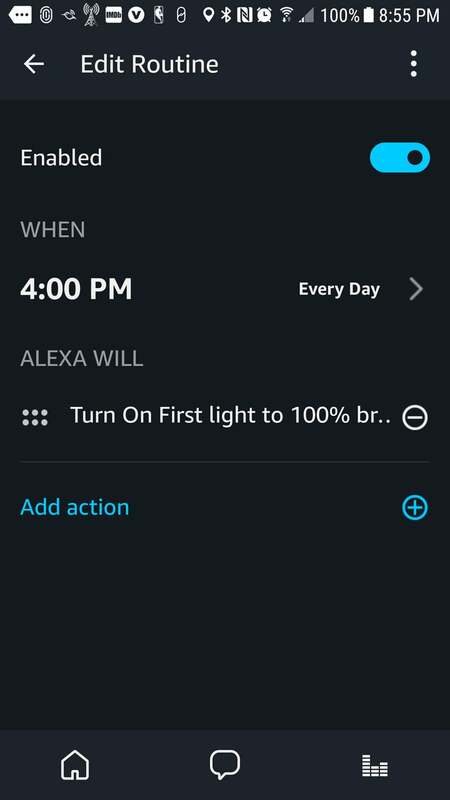 About an hour later, I heard the characteristic Echo chord and Alexa’s voice greeted me with her cheerful “Hello!” After another 20 minutes or so, Alexa automatically installed a firmware update and restarted the Echo—and it’s been working ever since. I’m still waiting to hear from my contact if this is the expected behavior, but I’d be surprised if it was. People are conditioned to hardware doing something—anything—when they plug it into the wall. The Echo Plus is the only one of Amazon's smart speakers that can directly control ZigBee devices, but it's very limited as to what it can do with them. Anyway, back to the Philips Hue installation. All you need to do is screw the bulb into a socket and supply power to the socket. 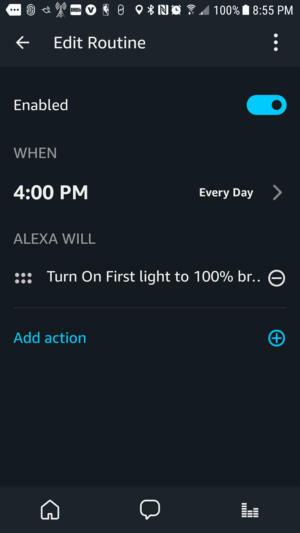 Ask Alexa to discover devices, and she’ll find the bulb and assign it a name—“first light” in my case—but you can change that name to anything you want as long as each smart device has a unique name. As a practical matter, once you’ve named something, stick with it. You don’t want to go back through and edit all the scenes and routines you’ll set up later. Now if you want to take advantage of other features that Philips offers with its Hue line—more sophisticated schedules, synching your lights to music, or changing the color of color Hue bulbs—you’ll need to buy a Philips Hue hub anyway. 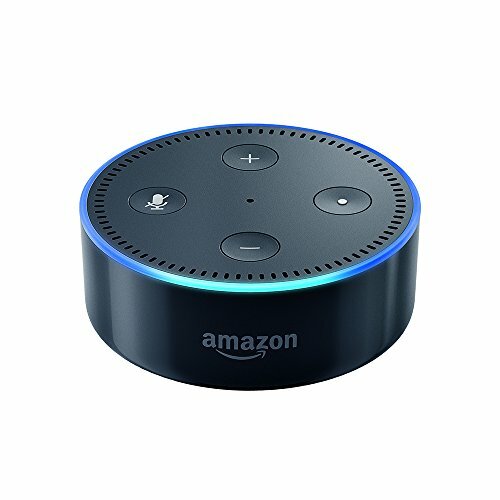 On the bright side, provided all your ZigBee smart-home devices are within range of the Echo Plus, you’ll need only one Echo Plus to control all of them. 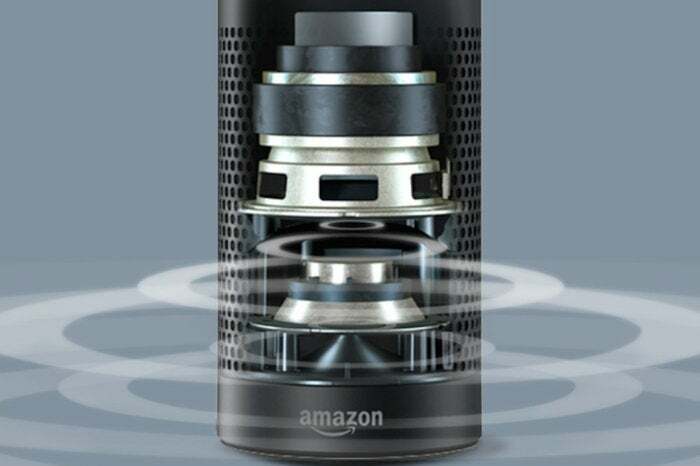 Utter a relevant voice command to any Echo (or Echo clone, such as the Fabriq Chorus), and that command will be relayed to the ZigBee radio in the Echo Plus over Wi-Fi. Scatter inexpensive Echo Dots all around the house, and you’ll never need to yell to control your smart home. If you want an Alexa-powered smart speaker that sounds great, buy the Alexa-powered Sonos One or pair the far-less-expensive Echo Dot with hardwired or Bluetooth speakers. The Echo Plus has somewhat beefier speakers, it delivers a better sonic performance than the second-generation Echo, and it retains the elegant volume-control ring from the original Echo. 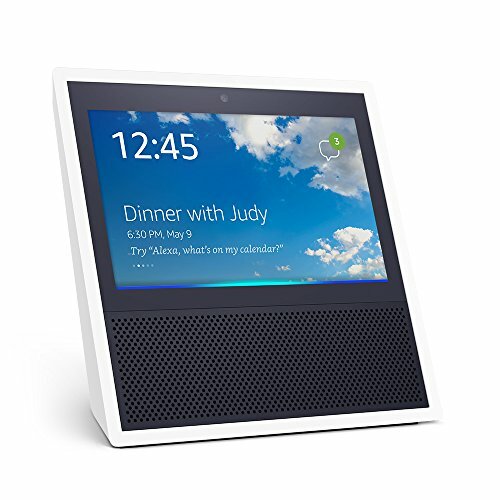 But the Echo Plus is not as pleasing to my ears as the pricier Echo Show. That said, my strong recommendation of the more-expensive Echo Show is based on its 7-inch display, not its musicality. Sonically speaking, in fact, none of Amazon’s Echos are superior loudspeakers to the Sonos One. The Echo Plus sounds slightly better than the second-generation Echo, but it doesn't hold a candle to the Alexa-powered Sonos One smart speaker. The bottom line—at least for today—is that the Echo Plus is better as a voice-recognition adjunct to a smart home system than it is as a smart home system that has voice recognition built in. Amazon might add more native smart-home features to the Echo Plus down the road, but it will always be limited to supporting only ZigBee devices. And in the case of the ZigBee-based Philips Hue bulbs, that support is relatively weak. There’s just not a lot here to recommend the Echo Plus over either its cheaper or more expensive stablemates.